Retired on 300 BE points. Luhmuhlen 2004 – CCI*** 14th. 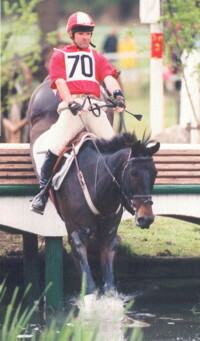 Burghley 2001 – CCI**** completed. Thirlestane Castle 2001 – ADV 1st. Scarvagh 2000 – CIC*** 1st.